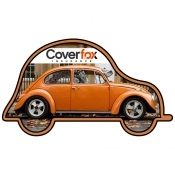 Car insurance magnets are perfect for auto loans and car insurance services trying to boost their credibility and attract quality customers to their fold. These promotional magnets are crafted on a high quality stock material sourced from different parts of USA. Customized auto insurance magnets are perfect for large scale distribution because we offer attractive discounts on wholesale orders. Perfect as a tradeshow giveaway, for bulk mailing and a complementary gift! Insurance marketing is a very complex term and car insurance marketing is just one challenging aspect of it. Many insurance services have happily embraced online marketing to widen their exposure and maximize their business impact. In addition, they are still following some tested traditional techniques emphasizing on personalizing their relationships with clients. 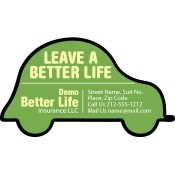 Promotional car insurance refrigerator magnets and car magnets are largely ordered by insurance advertisers for influential advertising. 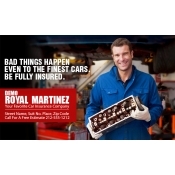 Today, there are many small and big insurance companies which offer auto insurance to clients under various conditions. Owning a vehicle has become a necessity in today’s world which means people have to seek services of an auto insurance service. With such vast explosion so called “consumer-friendly auto insurance services” professionals, people often turn to referrals to arrive at the right conclusions. This is why auto loan services are stressing and working at the prospect of strengthening interpersonal relationships. They know blind advertising is not going to bring them any result because people always love personal attention. 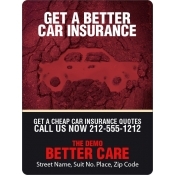 Our promotional insurance magnets will help car insurance services to come an inch closer to their consumer’s life by grabbing footage over their refrigerator doors or car surfaces. Our clients including auto loan services, auto loan consultants and start up auto finance services have gained benefits from these full-color magnets. Our current selection is developed on various sizes of the best-selling rectangle and square magnets and auto shaped magnets. However, that does not mean an end to it because businesses can try it over other promotional magnets such as custom shaped magnets, circle magnets and oval magnets. Save on art setup, online design proof, shipping and full-color printing because their prices are included in the product price. 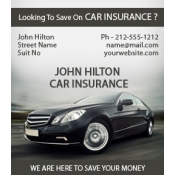 We encourage auto insurance services to imprint their brand logo, visuals and contact details in colors of their choice. To know more about pricing benefits, design and other details of these customized insurance magnets, feel free to contact us at 855-762-4638 or find time to write to us at info@cmagnets.com.